Mumewacha wapi Josiah Ougo? 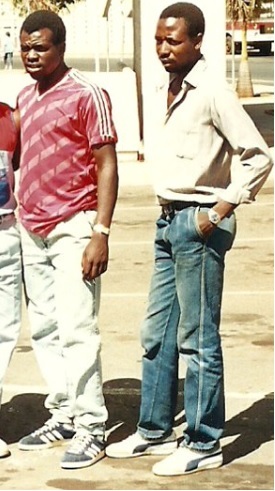 Na je Sammy Jogoo Onyango na Peter Dawo? admin. l think this is aserious issue that need to be exhausted fully by fans mambo au story ya midfielders ni baadaye. This is not official site of Gor Mahia where admin can shed some lights on the happenings at the club. This is bloggers site. Abbas Khamisi Magongo (zamaleck). The best ever. Ignatius Khamadhi should also be here. I watched Felix Otieno and this guy was what you can call a Maestro in the pitch. 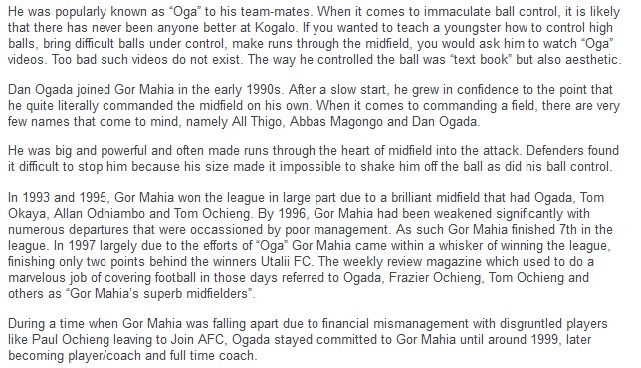 His stint was short, just before the start of Gor downfall. His best quality was how he could fool players into the wrong direction with such amazing ease. But as said, maybe the quality he had got into his head. Oman was the preferred destination of choice and alot of players went that way. Apart from the few shinny stuff they came back with, none of these Omani (middle east) players really made it big apart from Oliech. 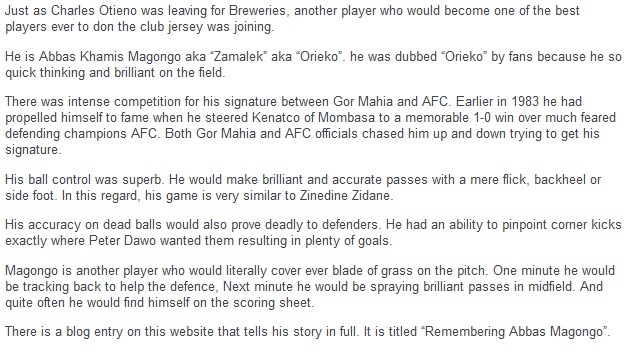 Alot of talented players in Kenya end up with disciplinary issues. Most of them end up messing their talent never to recover. Kenyan players have never sat down to think which is the best arena to do this. Many are over possessed with going to Europe at any cost. Most have ended up playing in division 4 leagues in the name of ‘nacheza Europe’. On their defence, with the kind of quality these guys displayed…. some of them could have rightfully had problems playing in the Kenya league. The only problem they fail to understand is that you have to market yourself first. They had no idea how to do this so many ended venting their anger on club officials. It will be hard to replicate the quality Abbas Magongo, Nahashon ‘Lule’, Moses Mulamba, Josephat Murila, Mahamud Abbas, Zangi Okello. How these guys missed europe is amazing. The guy who came closest to this kind of talent was Patrick Oboya. Excellent review of Felix. he used to chenga opponents so easily, with an ease that really bordered on arrogance. But he was full of himself. I think he fell out with Len Julians because Julians was a screamer with a temper and Felix was used to being pampered. 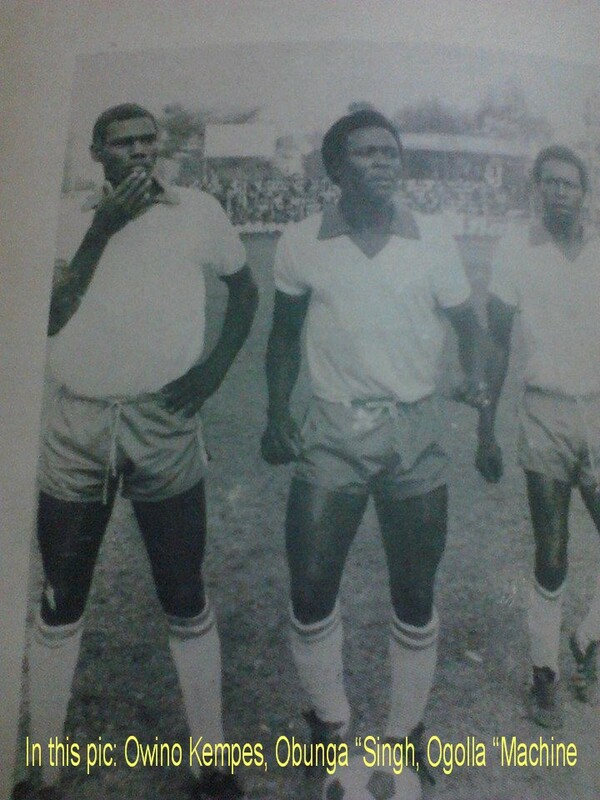 Abbasi Khamisi Magongo, Charles Otieno, Odembo Nyangi, john Okello Zangi, George Onyango Fundi, these were the best midfielders who have ever played for Mighty Gor at one particular time. They are the 1987 African cup winners cup midfielder, at one time National team coach Reihard Fabisch drafted them in the Nationsl team, Harambee stars. Other midfield maestro to be reckone without being exhaustive include sammy Kempes owino, and Allan Thigo. 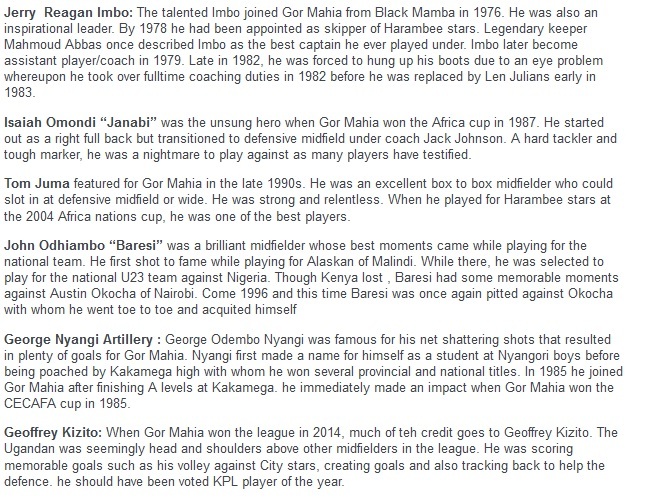 Gor Mahia had great midfielders.I still admirer Allan Thigo nicknamed the Ninty Minutes man and also Sammy Owino. They were committed to football. Is unfortunately age has no mercy. I also wish to correct. 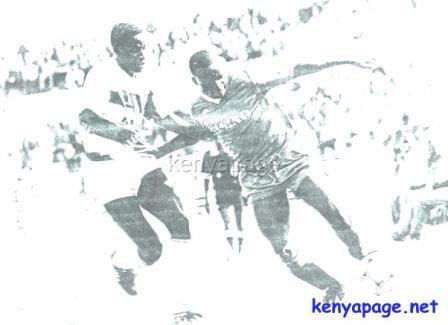 Tom Juma did not play for Gor Mahia but he played for CMC Football Club and AFC Leopards. He later went to Sweeden and thereafter he has retired,.